Drupal issued an advisory on Oct 15, 2014 about vulnerability of SQL Injection in its Drupal core 7.x versions prior to 7.32. Drupal issued its SA-CORE-2014-005 advisory, warning of a highly critical SQL injection vulnerability that is also identified as CVE-2014-3704. The only solution is to install the latest version i.e. Drupal core 7.32. "You should proceed under the assumption that every Drupal 7 website was compromised unless updated or patched before Oct 15th, 11pm UTC, that is 7 hours after the announcement." There are chances that you may not be able to update to the latest Drupal version. For those users Drupal has issued a patch for Drupal's database.inc file to fix the vulnerability. 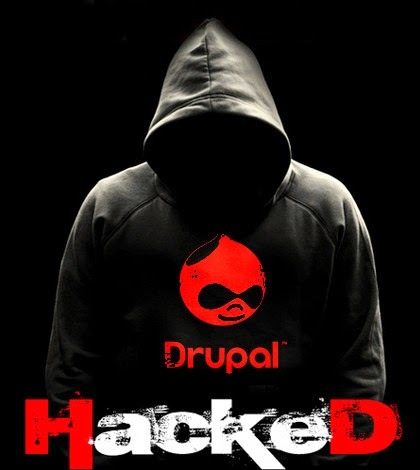 Drupal also provided a help document to recover your hacked website. Take a look at their help documentation, "Your Drupal site got hacked, now what"